If you are searching for the right exterior cleaning company to work with for cedar restoration in Cape Cod, you have come to the right place. 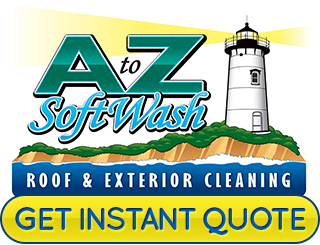 At A to Z Softwash our company name has become synonymous with superior quality workmanship and results. Wood in general is a wonderful material to use but nothing quite beats the look and performance of cedar. Quality cedar wood is used for a variety of purposes and is especially popular in Massachusetts on the siding of many homes and on roofs. While this is a resilient wood, it still needs care. Our expert level cleaning services will help in this restoration process. It is a good idea to have your cedar surfaces cleaned every 2 to 5 years depending on it's condition and location. The cleaning techniques that we use will rid your surfaces of algae, mildew, fungi and mold. Once these have been killed the cedar will be clean and free of living organisms. The next part of the process that we offer is our cedar conditioner which completes the restoration process. Want your cedar shakes or deck to look as good as new again? Then let us help you take care of that with our services for cedar restoration in Cape Cod. Your cedar surfaces don't have to be old to need professional cleaning and restoring. Having cedar of any kind is a bigger investment into your home. Make sure that you are able to properly protect this investment with expert wood restoration service work. The last thing that you want is to have to opt for replacement because you ignored the need for restoration work. Long term exposure to the elements is bound to take a toll on any type of exterior surface. The good news is that we can reverse the effects and even help delay the process in the future. We care about our clients and their service needs which is why we go above and beyond to get the job done. From deck restoration to cleaning and restoring cedar shakes and siding, our team of professionals have your exterior cleaning needs covered. 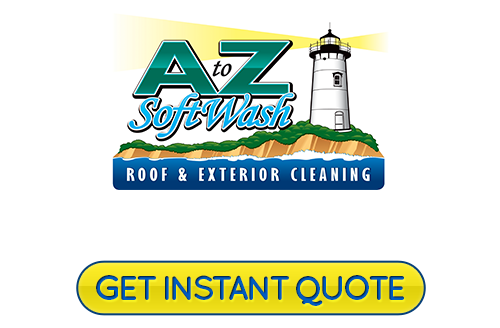 At A to Z Softwash we pride ourselves on being the best Cape Cod roof cleaning and pressure washing company in the area. Our approach is to focus on exceeding your expectations instead of just aiming to meet them. We look forward to working with you and providing you with the quality you deserve. Protect and prolong the life of your wood surfaces with expert cedar restoration in Cape Cod. There is no reason to watch this beautiful wood age and rot away when we can reverse that for you. Your cedar will look as good as new again, ifnot better! If you would like an estimate for cedar restoration in Cape Cod, please call 508-209-7795 or complete our online request form.